Have fun, share great stories, have a memorable day out and reduce your carbon footprint! Enjoy the historic city, the famous Cambridge University colleges and the river on an antique bike. Our Dutch-inspired bikes are designed and built by a passionate independent family business. Cambridge is a perfect place to cycle, relatively flat and very cycle friendly. Students, local residents, and visitors all enjoy the city’s beautiful architecture most conveniently by bicycle. Download the Cambridge City Cycling Map which provides for some great city cycling routes. 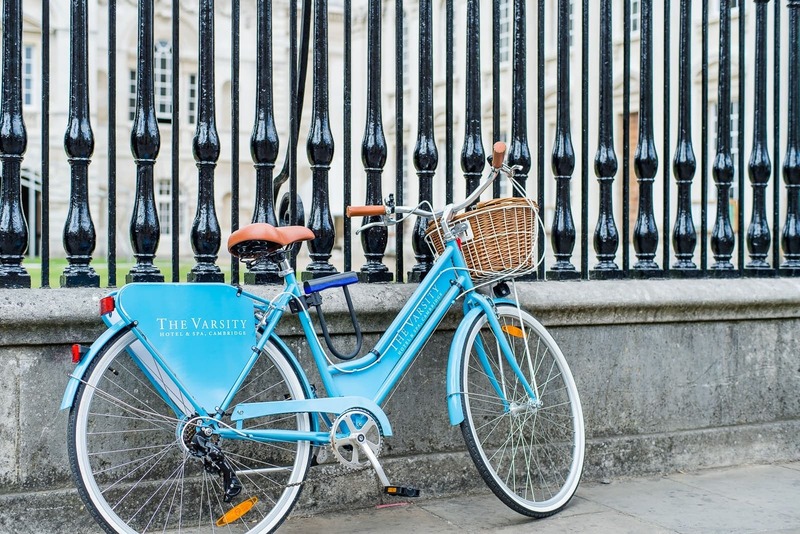 The Varsity Hotel is in the centre of Cambridge and Bikes are available for our hotel guests free of charge.